It is often said that honesty is the best policy. That’s why you won’t find Edinburgh City chairman Jim Brown playing down what has been a quite remarkable six months. 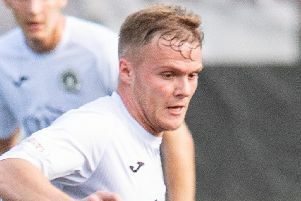 Riding the crest of a wave at the summit of Ladbrokes League Two – three points clear of Peterhead at the midway point – City are in unchartered territory. Having spent the vast majority of their brief SPFL stay doing their utmost to avoid a quick return to the Lowland League, the tide has now taken a massive turn for the men from the Capital. 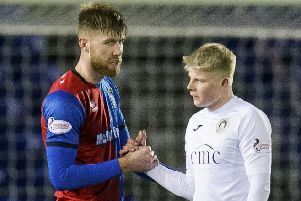 Having flirted with relegation throughout their two-year stay in Scottish football’s fourth tier since grinding out promotion through the Pyramid play-offs in May 2016, a mid-table finish would have been deemed a success come the end of the current campaign. That was before a ball had been kicked, however. “Our target this season was to secure safety as early as possible because the last couple of years have come down to the wire which has always made it difficult to plan for the following season,” Brown said. “We had talked about trying to finish somewhere near mid-table. But looking at how things have progressed this season, it’s been unbelievable. Don’t forget we’re also through to the Irn-Bru Cup semi-finals (they play Welsh club Connah’s Quay Nomads next month). “We set our targets season by season and that’s the way it’s always been. One thing we’ve always done is, when we speak to players about coming in, they’ve got to have that fire in their belly and we can usually tell right away if they have that same ambition. “Everyone we have brought in this season has bought into our approach. We still maintain we’d like to be the best part-time football club in Scotland over a five-year period and that hasn’t changed. We’re a long way off that but we’re moving in the right direction. Brown, and his board members, can certainly be pleased with the way the club is progressing both on and off the field, and he hits back at critics who suggest they are trying to “buy their way to success”. “Some of the money people have been coming out that we are paying is just ludicrous,” Brown explained. “I wouldn’t discuss individual players’ contracts but the one thing I would say is because we’re in Edinburgh, we train at the Oriam and the lifestyle we can give the players is much better than they’ve had maybe previously experienced at other clubs. “We set our budget at the beginning of the season and we haven’t gone over that. We have nobody pumping big money into the club and every penny we bring in is hard-earned. We’re not only up against Hearts and Hibs but also the rugby too, not to mention a lot of other sports. “So, for us to try and get a share of sponsorship is very hard. We’re not like some of the other one-team town clubs in the league. “We’re gradually getting a better support and fanbase. Our last home game against Stirling was the biggest gate (621) we’ve had since we came into the SPFL so that was encouraging. “We haven’t had any chats about next season yet because we don’t know what league we’ll be in. But it’s something we’ll have to discuss long before the season finishes. With everything still up in the air about Meadowbank, we’re pleased we have our three-year lease with Spartans at Ainslie Park.